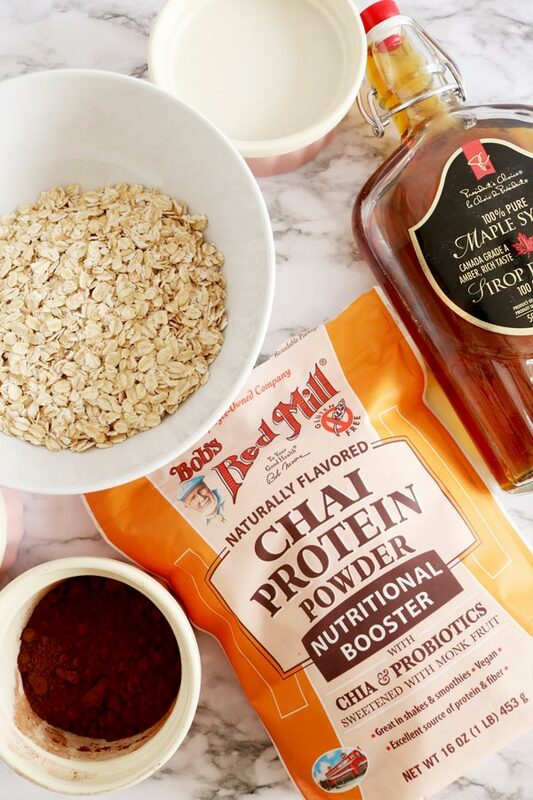 Inside Scoop: The easiest recipe for the most protein packed, chai overnight oats of your dreams. 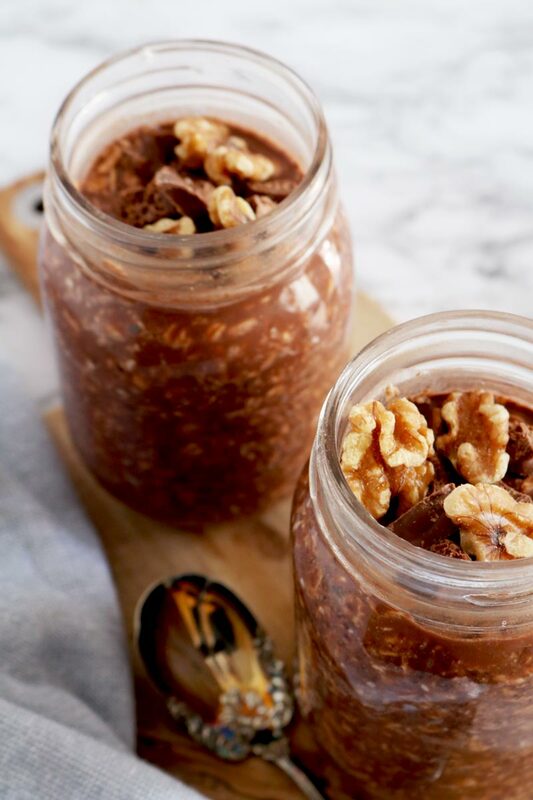 Oh wait, we forgot, a delicious healthy breakfast DOES come easy, especially with simple overnight oats. Whoever it was that realized you could just soak oats overnight in milk instead of cooking them is definitely winning at life. It’s a recipe for success every single time, and the creative flow with easy overnight oats is endless. There are so many different varieties of flavours, it’s almost hard to pick just one. 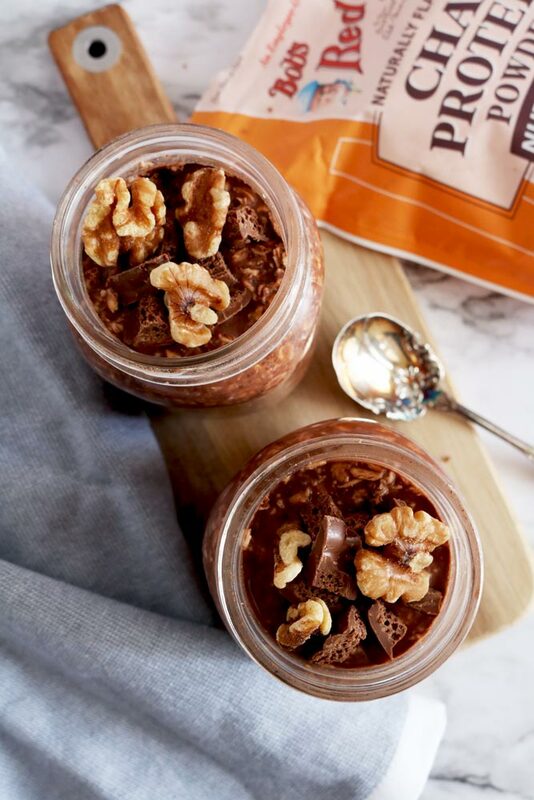 Almost, that is, until we came up with this delicious Chocolate Chai Protein Overnight Oats using Bob’s Red Mill Chai Protein Powder. 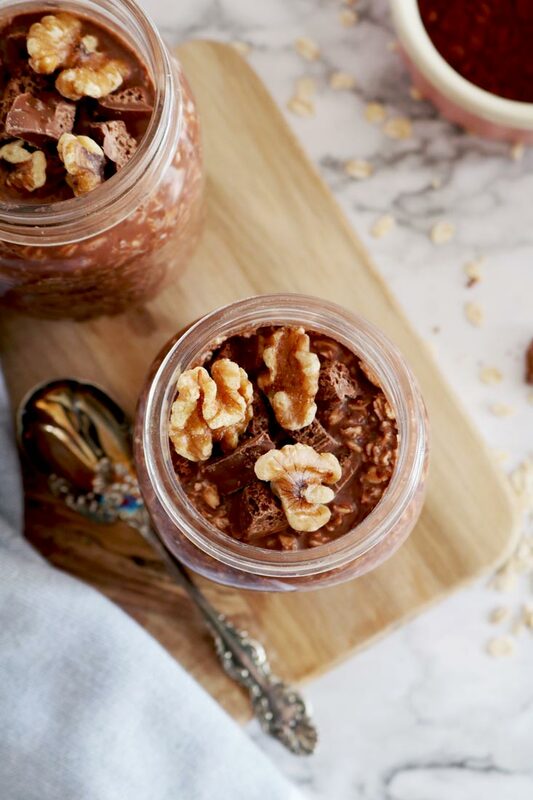 These Chocolate Chai Overnight Oats jars of goodness are jam-packed with nutrients. They are incredibly high in fibre, plant based protein, antioxidants, healthy fats, and have a delicious chocolate chai flavour to them. We chose to use Bob’s Red Mill Chai Protein Powder because it’s sweetened with monkfruit, made with pea protein and contains probiotics but also doesn’t leave a chalky aftertaste like a lot of protein powders out there do. It’s a perfect combination of protein, nutrition and delicious flavour. 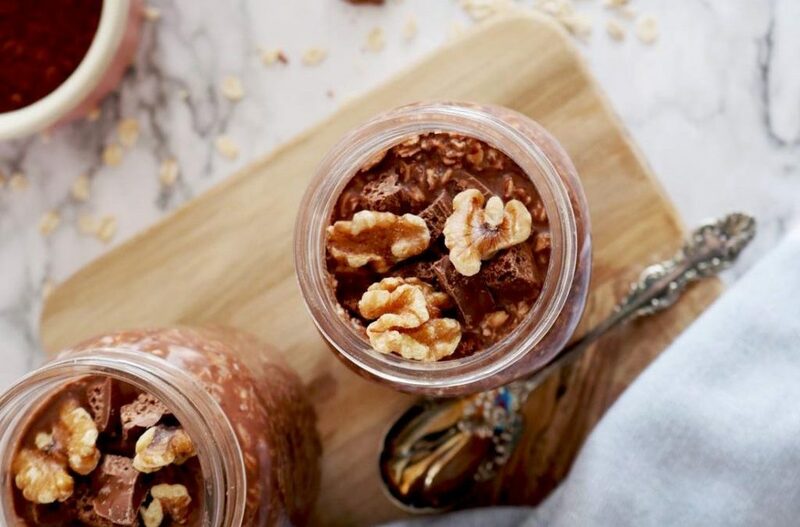 Have you hopped on the overnight oats bandwagon yet? Let us know what you think in the comments below! 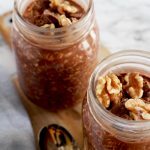 This easy and delicious Chocolate Chai Overnight Oats recipe is the perfect grab-and-go breakfast. All it takes is 2 minutes and some time to let it set and you have a chocolatey, spiced, breakfast of dreams. Mix everything in a bowl or mason jar and add non-dairy milk. Leave in the fridge covered overnight. In the morning, stir it and finish by adding your favourite toppings: banana, blueberries, pomegranate seeds, hemp seeds, shredded coconut, strawberries, raspberries, goji berries…etc.